The side wall bubble is when you put a very small bubble onto the side of a modelling balloon. 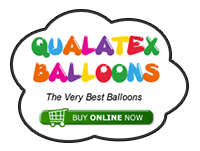 It is easier to do with a slightly softer section of balloon and with the balloon folded. 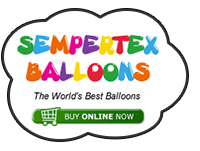 The bubble would be twisted into the side of the balloon where the fold of the balloon is made and acts as an attachment point. That's easy for you to say; or draw. Sometimes I can do it straight away, and sometimes it takes ages. And sometimes I give up. Any additional tips to make it foolproof? Try putting a dried pea or a bouncy ball inside so that you have something to grip onto, makes it so much easier. Make sure the 646 is really soft. Grab a really large side wall bubble and half twist it so you can slowly release air to make the side wall bubble smaller. I would suggest practising on a 350q first so you get the feel of it. Don't give up as it will get easier. I also have trouble with Sidewalls on 646. I can do 350, 260, hearts & rounds no problem but the 646 is still driving me insane. Any other way to do this in 660 I just can't do it.